Get this Frito-Lay Classic Mix 35 Count Variety Pack for just $8.10 shipped when you clip the 20% off digital coupon and opt to Subscribe & Save! That's just 23¢ per bag delivered right to your door! 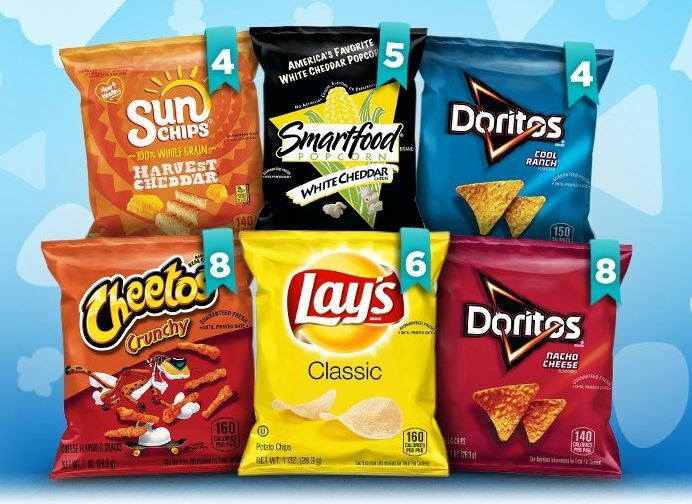 This variety pack includes Classic Lay's, Cheetos, Doritos, SunChips, and Smartfood Popcorn.